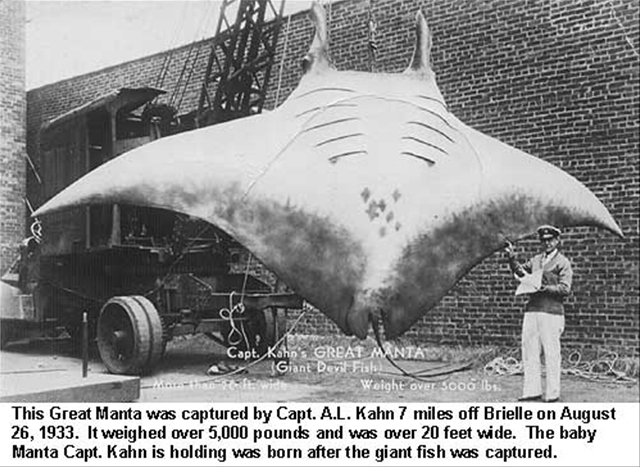 Manta rays are one of the largest fish in the ocean. 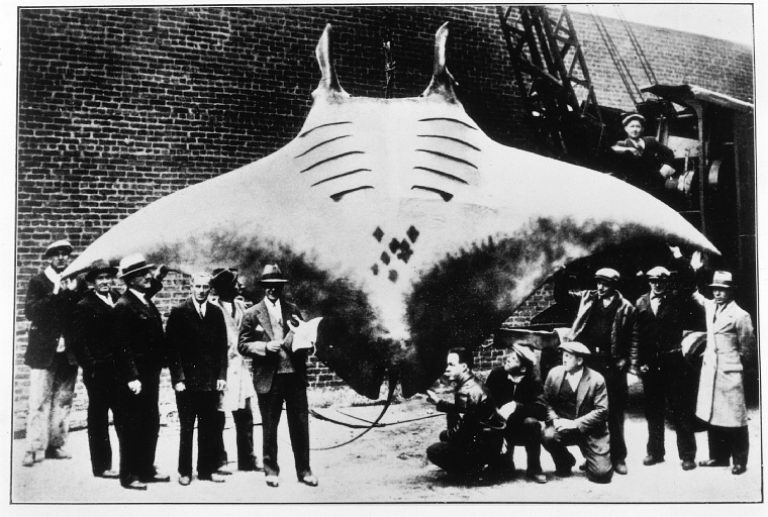 Typically reaching 6.7m in width and weighing up to 1,400kg, the largest manta on record was several times larger! But despite their immense size, little is known about this majestic creature. “Manta” – the Spanish word for blanket – aptly describes this creature’s characteristic shape. Their pectoral fins have evolved into large triangular wings, that are used to propel them through the water. Like other members of the Mobulidae family, mantas posses distinctive paddle-like cephalic lobes that project forward from the front of the head. These lobes are actually extensions of the pectoral fins supported by radial cartilages, and used to channel food towards the mouth. When swimming, these cephalic fins are rolled up like spirals to give the appearance of horns, and leading to the name “devil rays”. Mantas can be distinguished from the similar looking mobula rays by the position of the mouth. Mobulas have sub-terminal mouths, located underneath the head. Mantas have terminal mouths, located at the front of the head and ideally placed to filter large quantities of water. Mantas vary from black, to grey-blue, to red-brown on the upper surface, occasionally with white shoulder patches, and often pure white on the under surface. Colour patterns show individual variation, and help to identify individuals. There are also regional differences in manta ray colour patterns, with individuals from the eastern Pacific often having dusky to mostly black under surfaces, while those from the western Pacific are typically white underneath. An entirely black colour variant of the species has been described, and represents up 25 percent of the total population in some areas, while being extremely rare in others. Albino mantas have been recorded around Sumbawa Island, Indonesia and northern Borneo, Malaysia. Like a shark, a manta’s skin is covered with dermal denticals (small tooth-like structures) that aid hydrodynamics. Their skin is covered in a mucus coating, forming a defensive layer against infection that can be easily removed through contact with swimmers and divers. Mantas posses a small dorsal fin at the base of the tail. Closely related to stingrays, the structure of their tail recently revealed the presence of a second, previously unknown species. Manta alfredi lacks a spine or stinger on the tail, whereas the ocean-roaming Manta birostris has retained a stinger. Their eyes are located just behind their cephalic fins, ideally positioned for seeing forward and downward. Their ability to see upward and to the rear is limited. Mantas have the largest brain to body ratio of all elasmobranchs (sharks and rays), and on a par to that of marsupials and birds. A rete system – a network of blood vessels surrounding the braincase – keeps the brain warmer than the surrounding tissue.